Born in Scotland in 1726 and orphaned by 1737, Elizabeth Murray immigrated to the American colonies at age 22 and settled on her own in Boston, Massachusetts, where she ran a successful dry goods shop during the 1750s. 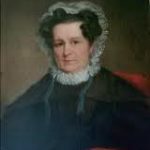 Shopkeeping was a typical business for many women of her era – there were very few jobs open to unmarried women who aspired to a middle-class standard of living. 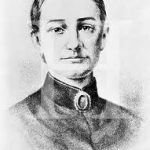 She also owned a boardinghouse and a sewing school. Elizabeth launched her businesses with the help of her brother, James, who sold three slaves to get her started. He enlisted a London mercantile company and a buyer to purchase and supply goods to her. As a retailer and importer, Elizabeth made a living selling the goods colonial Americans wanted and needed. Maturing as a businesswoman, she traveled to London to learn bookkeeping and to select her own merchandise. As an importer and retailer of British goods, Murray conducted business with merchants and manufacturers in England and buyers in the American colonies. In newspaper advertisements, Elizabeth presented herself as a woman of fashion and style whose shop offered the latest luxury items. 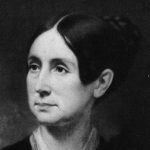 Through trade bills, she promoted needlework instruction for young girls and portrayed her shop as the source for the latest luxury items and fashions imported from London. Elizabeth Murray was an extraordinary woman who tried to make a place for herself and other women in the world by asserting her own independence inside and outside the home. She confided to her journal her lifelong goal “to live and act as I please.” Linking economic self-sufficiency to independence was the defining theme of her life. Deeply satisfied by her work and the economic freedom it brought her, she acted as a mentor to her nieces and other women, and supported them financially to help them gain economic independence and open shops of their own. For many years, Elizabeth practiced her trade successfully while marrying three times. At the time, a woman’s property became her husband’s when they married. Elizabeth protected her autonomy by demanding prenuptial agreements from her second and third husbands, which gave her a measure of control over her property that was rare for a married woman of her time. Her three marriages chronicle the impact of family on women’s economic security and the influence of private circumstances on women’s public lives. While her life centered on her family, her choices and actions put her in the midst of political conflicts and debates over women’s roles. Amid the revolutionary fervor against Great Britain, Elizabeth wed long-time friend Ralph Inman. As Loyalists who supported the British, the Inmans were in political danger. His first idea was to flee the country and leave Elizabeth to fend for herself. In the end, he stayed. I rejoice that the spirit of Independence caused such exertions as to place me in a situation that I am content to pass the remainder of my days in. Murray feared that a beloved niece, Polly, would never escape the bonds of home and family in London to return to shopkeeping in Boston, but Polly allayed those anxieties: “The spirit of independence you cherish’d in me,” she wrote, “is not yet extinct.” In emulation of her aunt, Polly had resolved to have “no children” of her own; instead, when retailing had made her “rich enough,” she would become a surrogate parent to other people’s children, beginning with her brother’s youngest child. Elizabeth Murray Campbell Smith Inman died in 1785.